That new 32-inch HDTV you want — how much bigger than your old 32-incher is it? Actually . . . it's smaller! Read on to avoid an expensive mistake. your HDTV has the same screen area as your old TV, it needs to have a diagonal measure ("screen size") that's six percent bigger. (Why not 11 percent? The math involves logarithms and square roots — i.e. Pythagorean geometry, not simple multiplication. Trust us on this.) 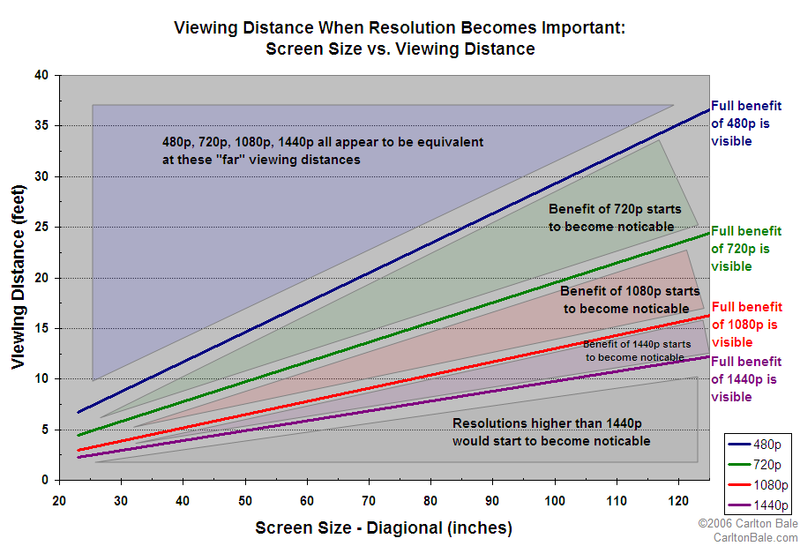 In other words take the diagonal screen size of the old TV and multiply by 1.06. If you have a 32-inch regular TV, this means the HDTV needs a 34-inch screen if you don't want your new TV picture to be smaller than the old one (32 times 1.06 equals 34). But this is not the whole story, especially when it comes to watching "old" TV shows on your new HDTV. Read on . . .
A better yardstick (so to speak) than screen area is screen height. If your new HDTV has a screen that's as tall as your old one, not only will you be sure that you're getting a bigger picture, you'll also be certain that when you watch "old," non-HD programs on your HDTV, the picture you're looking at will not be drastically smaller than the one on your old TV set. the same height as your old TV screen. To do this without taking a tape measure to Best Buy, you can either do the math yourself, or use our handy chart below. It's based on this simple rule: To find the HDTV screen size (diagonal measure) that gives the same height as your old television, take the screen size of the old TV and multiply by 1.22. So if you want an HDTV with a screen that's the same height as your old 34-inch TV, for example, the chart below shows that you need to buy an HDTV with a 42-inch screen, and that they will both have a height of 20.4 inches. On either TV, a non-HD picture will be the same size. The total HDTV picture area will be one-third greater than the total picture area of the old set. Above: If your old TV has a 34-inch screen, for older programs like I Love Lucy, Seinfeld etc. to be the SAME SIZE on your new HDTV, the new TV should have a 42-inch screen.